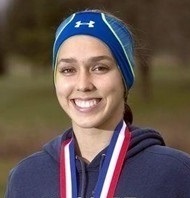 The Peoria Notre Dame track and cross country star was the IHSA Class 2A state cross country champion and also won the 3200 meters and finished fourth in the 1600 meters in the state track meet. She earned All-American status after finishing 12th at the Foot Locker Nationals. 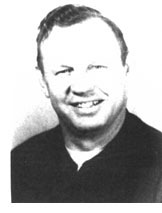 Tony Van Dyke moved to Peoria from Westville in 1935, becoming head football coach at Spalding. He joined District 150 the following year, spent five years at the old Columbia Junior High, and then 22 more at Roosevelt Junior High before becoming a grade school counselor. His creed as he dealt with thousands of very young girls and boys was: allow as many to participate as possible. For years he coached and directed the Little League at State Park. "One thing people should remember about summer baseball - boys under 12 are still children at play." At Roosevelt he was famous for his all-school track meet, a huge affair run with fantastic efficiency. He also began an all-school boxing tournament - final log, 12,000 bouts. His bowling teams brought championships at the local and state levels. And as a junior high football coach he was unmatched. At Roosevelt he won 116 games and lost but six against high school freshmen teams - losing but once in 70 games during one stretch. His Roosevelt football teams were fun to watch - famous for the naked reverse that was almost unstoppable. Tony is a past recipient of the Neve Harms Award for Meritorious Service to Sports. "It was always in my mind while we were winning so many games, how was I going to get every kid to play." He was a teacher, coach, counselor, and friend who helped mold the personalities of thousands of boys and girls.